Inspire Brands, a private equity backed firm that owns Arby's and Buffalo Wild Wings, is paying nearly 20% more for Sonic than what shares were trading at on Monday. 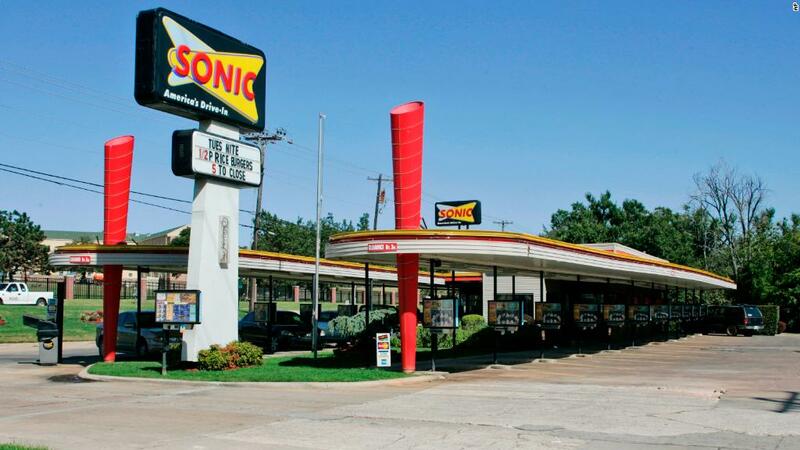 Sonic (SONC) is famous for its quirky ads and retro 1950s-esque drive-in locations. The company also recently joined the wacky fast food trend of launching odd new menu items with its pickle juice slushies. But the company has been hit by tough competition from the likes of McDonald's (MCD), Burger King and Wendy's (WEN). 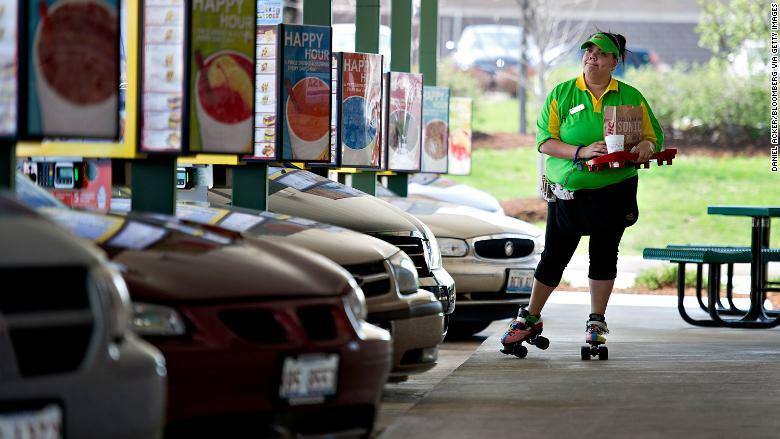 Sonic's sales at locations open at least a year have been declining for the past few quarters. Sonic is getting bought by the same company that owns Arby's and Buffalo Wild Wings. Burger King parent Restaurant Brands (QSR) scooped up Popeyes Louisiana Kitchen last year while Olive Garden owner Darden (DRI) bought Cheddar's Scratch Kitchen. There has also been speculation that struggling pizza chain Papa John's (PZZA) could be vulnerable to a takeover.